It’s my birthday and I am turning 60 years old today. Many of you know that I have been going through a major transition over the last four years after my marriage of nearly four decades ended. Good things come out of everything, especially the hardest things and during this last year I have come alive with a new passion and purpose. I love the impact Global Angels has on the ground. 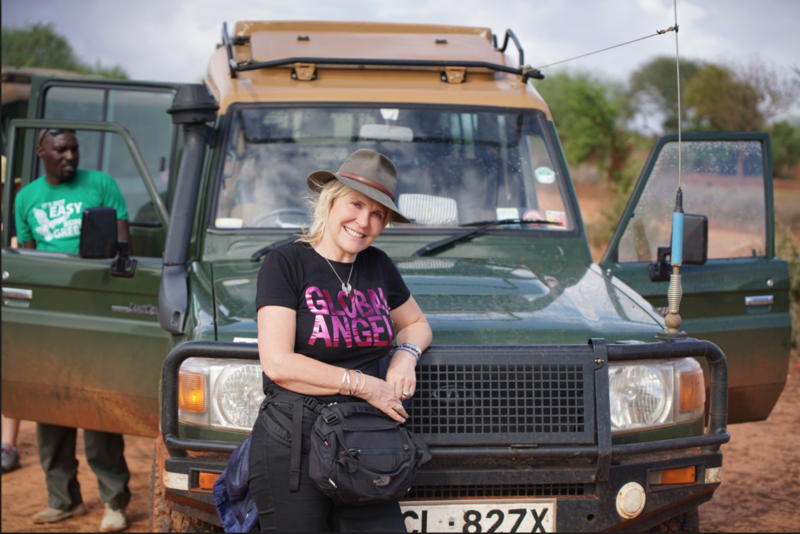 I am genuinely waking up every morning excited about the work we are doing on the Tsavo Project and have a powerful drive to transform the Itinyi Valley in Kenya and the lives of the 14,000 people living there. I have been pondering how to make the most of this birthday and to celebrate in a way that really makes a significant difference. What I would love more than anything else is for everyone around the world who loves me and loves the work I do, to join with me in this celebration by each giving £60 or $60 (more if you can afford it, or less of course if you can’t. Be assured that all donations for this campaign will go direct to the projects. My aim is to raise £60,000 over the next 60 days and £600,000 this year. Wouldn’t it be amazing if we could raise this much? What will we use the 60:60:60 funds for? It’s a huge project but entirely possible if we bring in the resources from all our Angels and Corporate Partners. Let’s see what we can do together! We will be sharing the campaign across social media and giving ideas on how to raise money, sharing your stories of how you raised funds and progress on what is happening on the ground. Please use the hashtag #globalangels60 when you post, so that we can see what you’re up to! PS: Today I am in Los Angeles with my family and loving being a grandmother for the first time, double celebrations as Natasha has recently given birth to a darling baby boy and a few days ago my son Joshua and his beautiful girlfriend Ceri announcing their engagement.